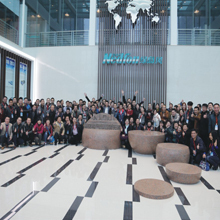 Guangdong Nedfon Idoor Air System Technology Co.,LTD. is established in 1989,specializing in 1989, specializing in the R&D, manufacturing and selling of different ventilation products. With 26 years' experience and development in the ventilation industry, we are at the cutting edge of the following ventilation products: air curtain, household exhaust fan, industrial ventilating fan, duct fans for different type of tube, bathroom master, belt-driven cooling fan, energy recovery ventilators, ven... Guangdong Nedfon Idoor Air System Technology Co.,LTD. 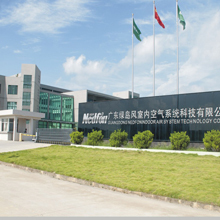 is established in 1989,specializing in 1989, specializing in the R&D, manufacturing and selling of different ventilation products. ventilators for fire-fighting application and other special applications. We are approved by the ISO9002 quality control management standard in the year 2000, and further approved by ISO9001:2000 in 2002. We strictly implement the standard of ISO9001:2008 in every procedure of manufacturing & testing. We are one of the primary manufatures that set up wind tunnel testing facility and precised sound room. 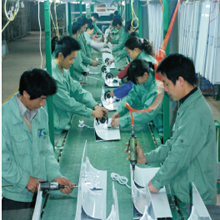 In terms of manufacturing facilities, we have the state-of-the-art German CNC Punching & Nibbling Machine, Close-back Double Point Presses, Japaness-made High-speed Presses, Japanese-made Welding Robot, Automatic Inserting Machine, Taiwan CNC Lathe, Taiwan Power-coating & Electrophoretic Production Lines. The advanced manufacturing facilities ensure the quality of the 98% self-producing component parts of our products are precisely under control, and provide the same superior quality products to our customers. Our products are approved by cETLus, HVI, ENERGY STAR, KC, CB, CE, RoHS,INMETRO, TISI, SASO & CCC, which is the main reason that we are winning more and more customers all over the world. We persist in improving the air quality and only selling the high quality products, and customers' benifit being the first. We will continuously devote ourselves to the research & developing new ventilation products and build up better sales network and offer better products & support service to our customers in the future.